Birthday Expenses and 50 Presents Each! This week I went to two different birthday events. First was a surprise party for a 40-year-old. My husband, at the adult party, shared a vent with the milestone birthday man about December birthdays and how they only get “half” the presents/attention. The next night we went to a gathering at a pizza place on a kids’ night for a 10-year-old who “didn’t want a party.” I wondered if his parents would be able to remind him later on (say, when’s he 40 and complaining about getting shafted) that he was the one to say “no” to an official party! Not that his parents were complaining, I’m sure. Especially at this time of year, it was probably a treat to save some money. 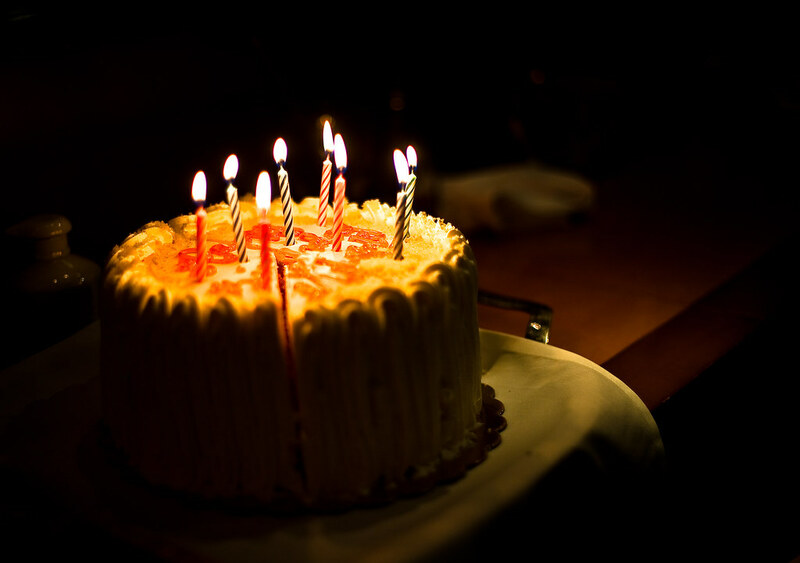 Research from Barclays in the U.K. recently found that “the average parent will spend nearly £5,000 on celebrating birthdays during the ages of four and 11. Typically, adults spend £433.39 on birthday parties and another £164.65 on presidents.” (Yeah, I had to direct quote that because I love the typo in presents. I would have thought presidents would cost more!). But some parents also buy as many as 50 presents per birthday, the study revealed. That likely means 50 presents and hundreds of dollars for some and low-pomp but lots of family fun for others. Finally, while we’re talking about birthday expenses, I’ll also share this article from Bustle on how millennial women deal with splitting the bill at birthday dinners. The more you know, right? Here is something that would be a recipe for divorce at my house — sharing my birthday. I know I’m a little (OK, a lot) birthday crazed. But I can’t be the only person who would NOT want to share her birthday with her significant other. Ugh! Worse would be having to share with your child…then, you’d have to be the grown up about it and all that kind of stuff. Canadian John Beattie recently provided a personal essay to The Globe and Mail with the title “What it’s like to share everything – even your birthday – with your wife.” Of course, this first person account read like a horror story to me. Beattie and his wife Zuraidah on July 30th each year compare themselves to a Hollywood power couple that share the same birthday too. They “wake up asking each other ‘what would Michael Douglas and Catherine Zeta-Jones do?’” Since Christo and Jean Claude, the artists that wrap buildings and parks also share a birthday, I’m not sure why they don’t ask about them (although perhaps the answer there is too obvious — wrap something). But as you can already guess, I do not agree. There is no romance in having to spoil my significant other on the day I want to be spoiled. Even my husband, who already has had to endure a December 30th birthday all of his life, would probably stick with his winter doldrums bday over having to share the birthday spotlight with yours truly. Nevertheless, at least those who share a birthday don’t have to worry about forgetting their spouse’s birthdays. Yes, apparently it’s an issue. One third of those in an evite poll of 2,000 had done so. Men were twice as likely to space, and 9/10 of them were in serious relationships when they did so. Unsurprisingly, 12% of their relationships hit the skids because of the birthday gaffe. Then there’s the need to draw attention to ourselves on our birthdays. But what is the perfect thing to say when posting our selfies? Birthdays a Tradition, on the 13th no less. OK, so there are many people out there who are superstitious about 13, and particularly Friday the 13th. It’s even got its own name — triskaidekaphobia. Now, that would get you a bunch of points in Words with Friends. “The number 13 wasn’t always bad-famed, quite the contrary. In ancient China and Egypt, thirteen was considered a lucky number. It is unclear when exactly [13 did] become an unlucky number. Some attribute it to the Bible, where the Last Supper was attended by 13 people, and some speculated that the 13th person at the table was Judas, who later betrayed Jesus. However, there is no reference to support this theory. Another belief is that the phobia of number 13 is caused by it being an irrational number and 12 being the number of perfection. Now, all that said, you’re wondering what this has to do with birthdays right? Well, there is a family in Orange County, California that can only look at the 13th as a lucky day. After all, FOUR generations of the family celebrate their birthday on August 13th! Sarah Peeler shares her birthday with her daughter Lori (which distracts me with the thought of having to go into labor on your birthday — ugh). But the day was special even before that. Lori’s grandfather and great-grandmother also were born on the same birth date. And Lori’s parents didn’t even plan for the Aug. 13 delivery. On Labor Day 2018, Mannie Corman invited 160-plus people to celebrate his 100th birthday. He even wore a black shirt reading “Vintage 1918; Aged to perfection,” and a matching hat with the number 100 printed in white. Guests who had flown in from California, Las Vegas and Texas with others from New York enjoyed a crooner singing, a roaming photo booth, and the enthusiastic welcome of Mr. Corman and his girlfriend of seven years, Judith Goldman, 76. After awhile, the guests were invited to take their seats at the tables in Liberty Warehouse in Brooklyn. The centerpieces featured handmade wooden boxes depicting a specific year of Mr. Corman’s century. Before the buffet stations began serving though, a closed black velvet curtain opened to reveal a flower girl and ring bearer. Ms. Goldman, who’d added a veil to her white ensemble, and Mr. Corman, who’d added a black tux jacket, entered behind them while “Young at Heart” played in the background. A collapsible huppah appeared and was immediately erected for family members to hold the corners. Mr. Corman began asking Ms. Goldman to marry him in 2014. She refused, because she was unwilling to move to Brooklyn. He finally won her over, and they decided to marry. Initially they were going to do so after the birthday party. 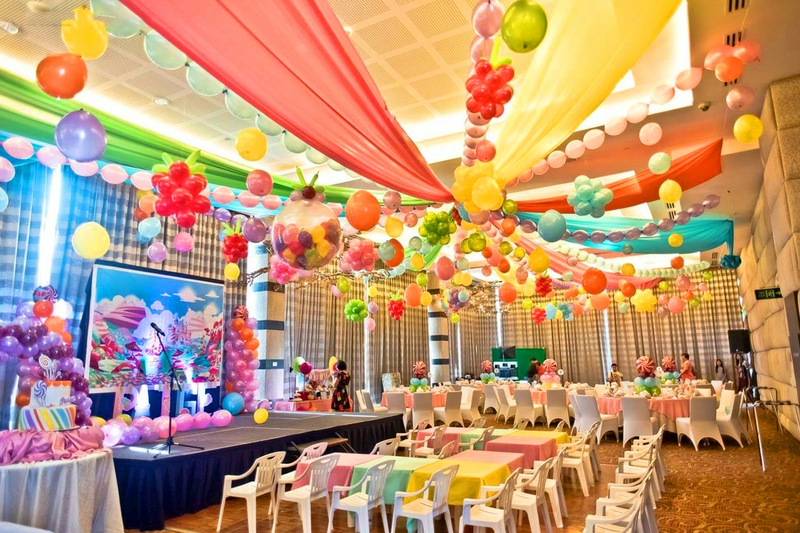 Then, realizing that they didn’t want to plan another big event, they decided to do both celebrations in one. “When you go with a girl like Judy, you’re supposed to marry her. That’s the way it works,” Mr. Corman told the New York Times. The guests were happy to part of the birthday/wedding event. Rabbi Joseph Potasnik, who married the couple and officiated at more than 1,000 weddings, said Mr. Corman is the oldest groom he has ever married. What better mentality to bring to your birthday — whatever age you are turning?